Designed and built to a high standard, with a predominance of local pine and in traditional Savoyard style, the Ginabelle is a first class résidence. 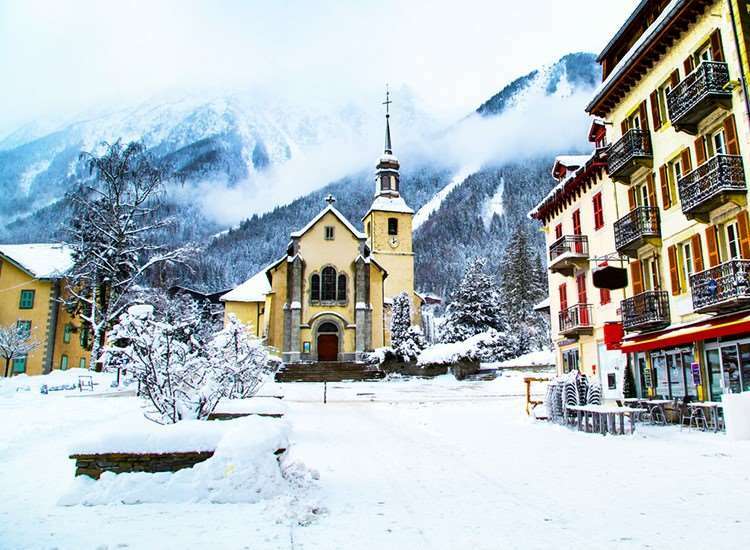 La Ginabelle is located close to the centre of Chamonix with a ski bus stop opposite, as well as being just a short walk to the bars and restaurants. It is has spectacular views of Mont Blanc and an excellent indoor pool, sauna, Turkish bath and fitness area. Spa treatments are available at a local charge for that extra bit of pampering. Bed linen, towels and end of stay cleaning (excludes kitchen and washing up) included. Comfortable lounge area with TV and fully equipped kitchenette with 4 hotplates, mini microwave/oven, dishwasher, coffee maker, fridge and toaster. 1 Bedroom 'classic' Apartments (2-4 people): Double bedded room and two single sofa beds or double sofa bed in the lounge area. Available on request. 2 Bedroom 'classic' Apartments (2-6 people): As 1 'classic' bedroom apartments with an additional twin or double bedroom. 2 Bedroom 'superior' Apartments (2-6 people): As above but more spacious with added facilities.